Before selecting your final plant list, you need to get a sense of your space’s constraints and advantages. A major determining factor is sunlight. Spend a clear day checking on your future garden every hour or two to ascertain which areas receive light and shade as the sun moves across the sky. This is especially important if you live in a dense area with tall buildings or fences that block the sun. You can make use of the darker spots, too, by opting for species that thrive in shade. For areas that soak up a lot of rays, plan to choose sun-loving plants. In shady situations, select plants that are sensitive to heavy sun, like those that grow in forest under-stories. Also find out how tall your plants can grow, and whether they will shade out neighboring vegetation. Then, map accordingly. Container gardens are easy to fit in tight spaces, from window boxes and hanging baskets to perches on stoops and railings. 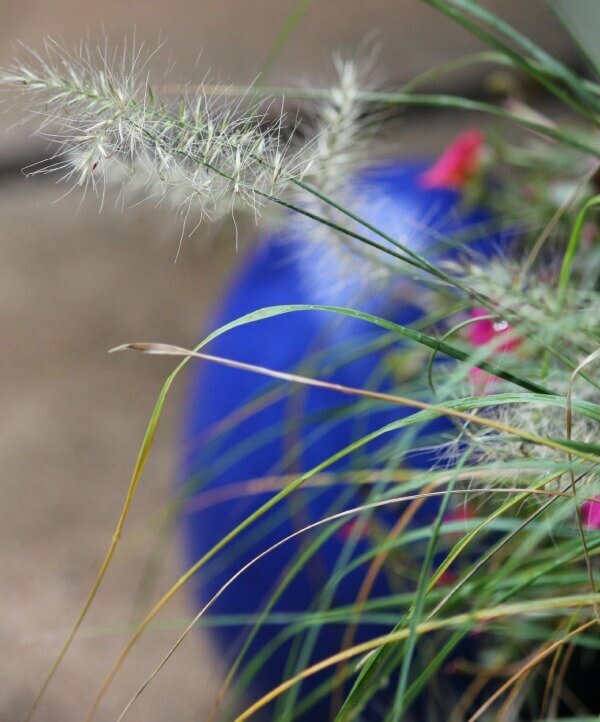 Choose plants that reflect the woodlands, meadows, and prairies of the American countryside for a rustic effect. These small gardens are a perfect way to use natives when space is at a premium. You will increasingly find nurseries and growers that specialize in all sorts of native plants. 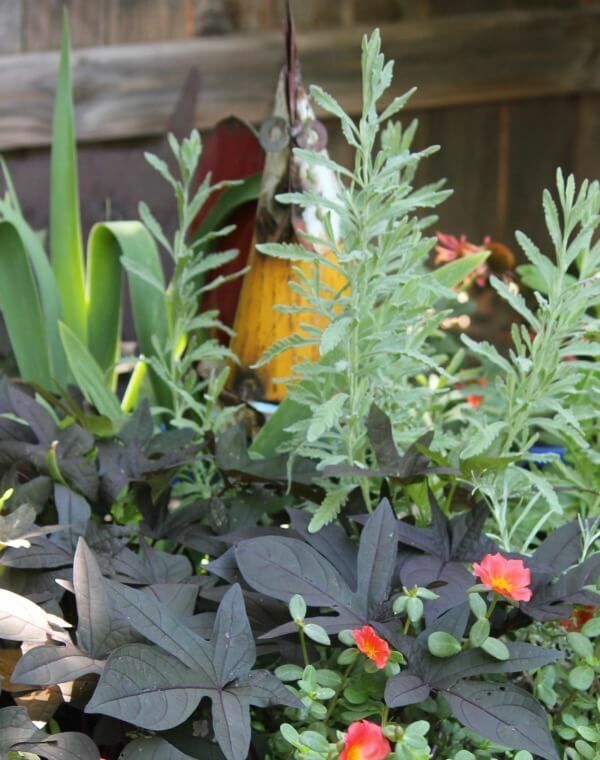 Growing ornamental plants in containers expands planting areas, adds color, and raises gardening levels. 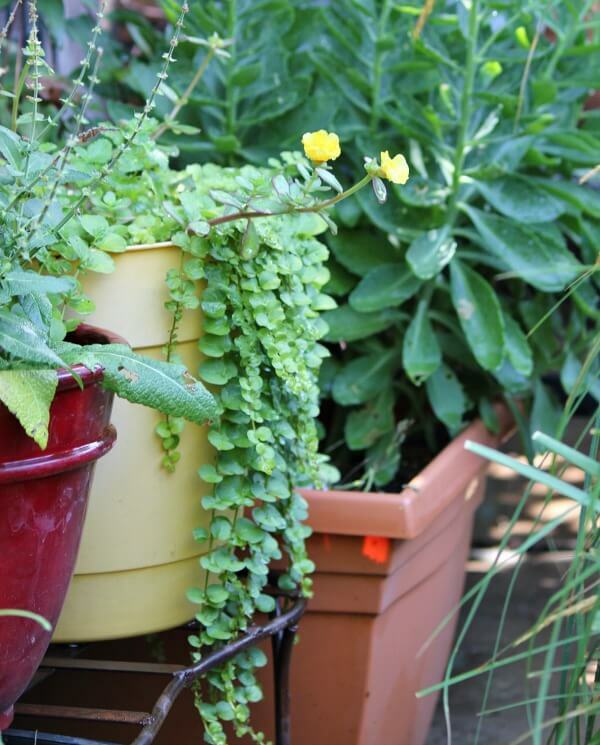 Growing in large pots also allows many condominium and apartment dwellers to grow natives. Container gardening provides imaginative and effective ways to create small native gardens with esthetic charm and plant appeal. Place plants that can’t take the sun in a shady area and plants that prefer moist soil where you can keep them well-watered. For planters in full sun, choose natives of prairies, glades, and open fields. For shadier sites, choose woodland natives, plants that naturally grow in dappled shade. You probably aren’t getting into gardening just for the birds, so be sure to think about how you want your container garden to look. Maybe you want bright flowers, or maybe you’re more into a minimalist style. Perhaps you want to go tall to screen out your neighbors. Or maybe you need short plants for a window box that won’t block your view. You’ll also want to mix different types of plants to keep the space interesting. 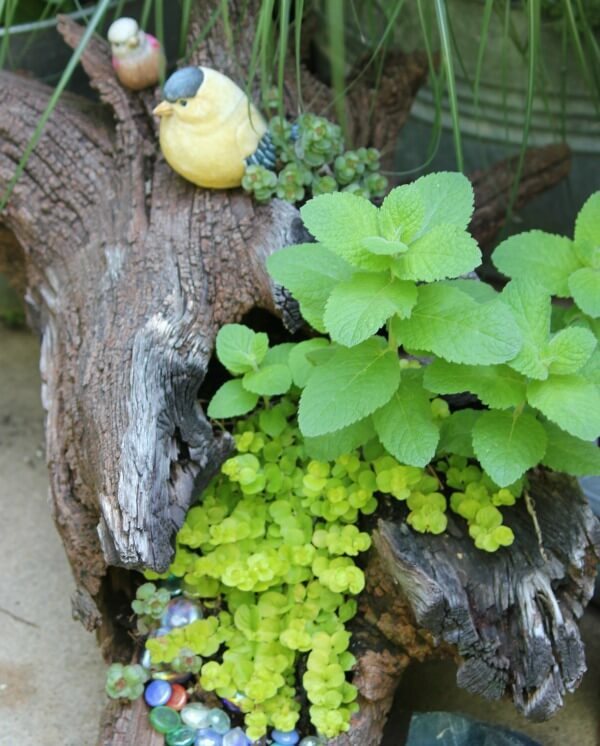 This idea holds for growing multiple plants in the same pot, if space allows. First, pick something that grows tall and showy; then, add something that fills the horizontal space of the container; and bottom it out with something that spills over the sides. 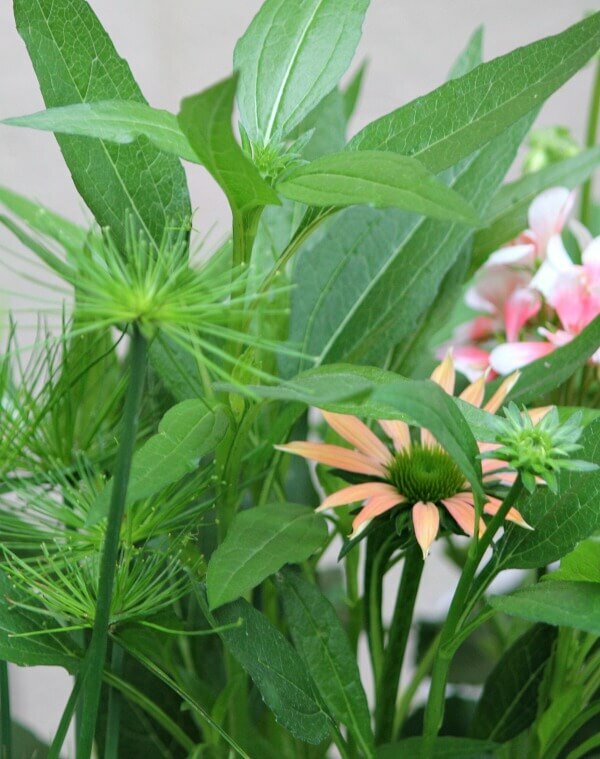 A mix of foliage types and flowering times will keep your garden lush week after week. Once you’ve chosen your plants, get your dirt, seeds, and plants and get digging. Water your plants regularly, as the small volume of soil in containers tends to hold less moisture. Plants exposed to intense sunlight may need to be watered multiple times a day. Most importantly, be prepared for a little trial and error. You may want to start small and see which plants thrive. Know what you want from your space and how you plan to useit. Be ready to experiment. Then plant your containers and wait for the birds to discover your new garden. Much of this info and more can be found at the Audobon website. You have such a nice size patio and it looks so inviting. I hope you have a very Blessed Easter. Your patio is wonderful, and thank you for all the great tips. Boy, I could use your green thumb in my garden! Your patio just keeps getting better and better. Thank you for all these tips. I've learned I don't water enough in the summer time. Happy Easter. And I tend to water too much! 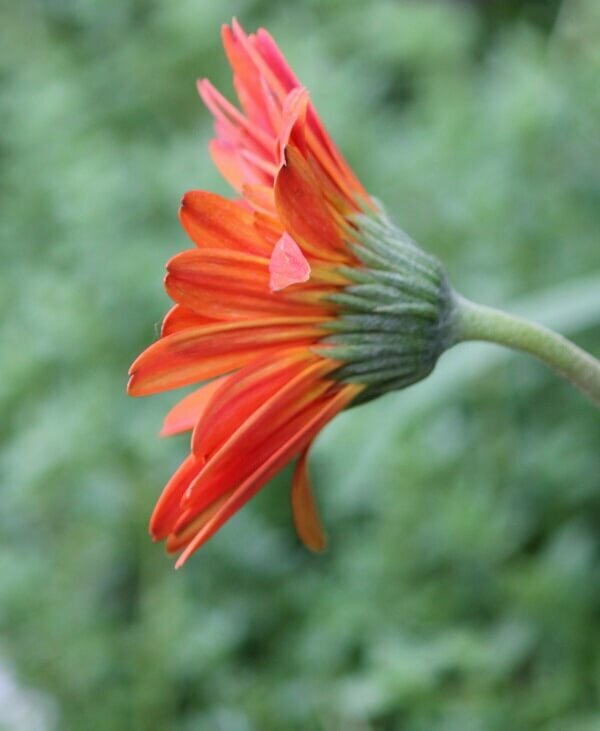 Brenda….you are a true inspiration for gardening….just beautiful, colorful and peaceful! 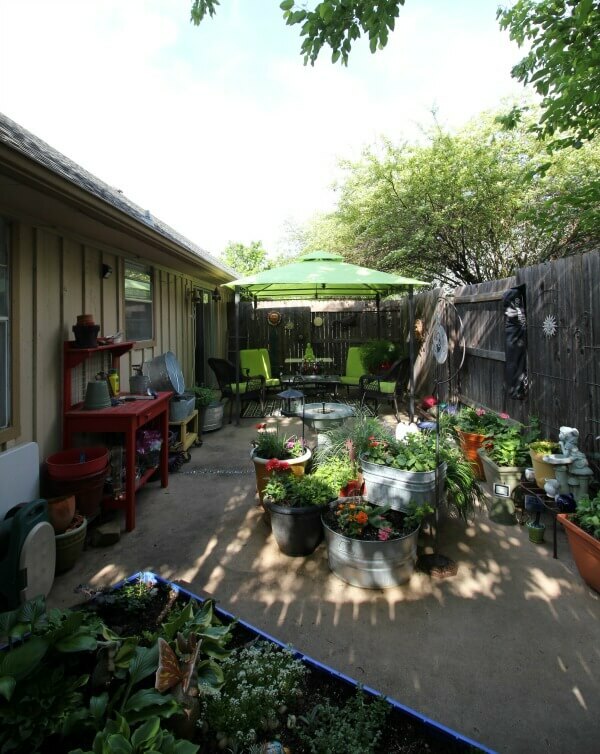 Your patio space is such a pretty little oasis for you and your dogs, Brenda! I'm just today seeing the tips of some of my perennials poking through, but with cold weather in the forecast, I don't think they'll be in a hurry to grow. I like the phrase "thriller, filler, spiller." It reminds me of another gardening axiom, "sleep, creep, leap." I heard that phrase applied to perennials — the first year in the ground they don't do much, just sleep. The next year, they just grow a small amount, and seem to creep. Then, in the third year, they really take off with a big leap. It's a good thing to remember when planting, because it's easy to be impatient with plants, but the waiting usually pays off. It looks like patience — and some hard work — has paid off on your patio! I love your garden Brenda, so peaceful and thriving! Your green thumb and tips are just wonderful! You are certainly one heck of a gardener, talk about green thumb. Your patio is so pretty, takes a lot of work to keep it up so well would imagine. Looks like you enjoy time out in your lovely yard, your own oasis. Wow, that seems like a huge patio for an apartment "cottage". I could live with that! 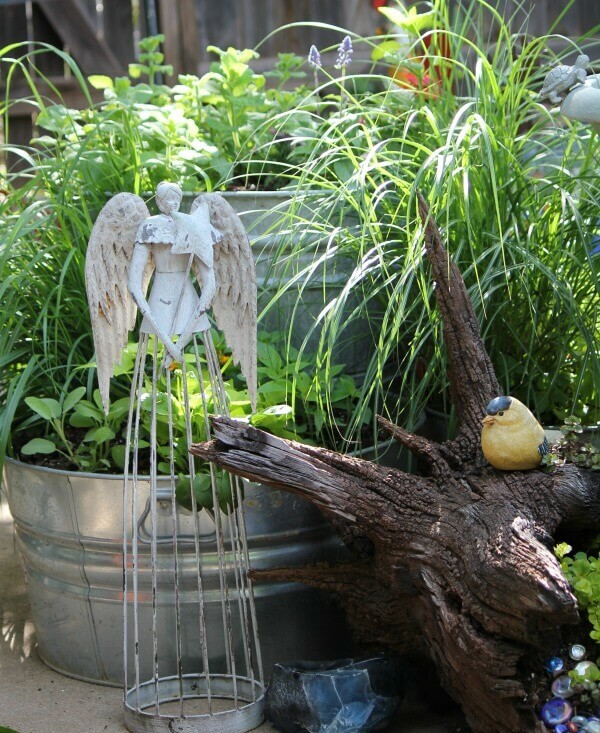 I love the metal angel shown in the one container. I'd love to find one just like her. Please tell me the name of the plant spilling over the side in picture #3 and again in #5. Your patio space is so lovely. I LOVE the special touches you add (little bird on the driftwood). Just looking at the picture is relaxing. Thank you, Brenda. I love seeing photos of your patio, and I think that's the biggest photo I've seen that shows most of the space! I'm guessing you shot that with a wide angle lens? I keep meaning to buy one of those. Looking forward to seeing what you do with the patio this year!